Water Grill debuts in America's Finest City on Monday, March 16, introducing an extensive selection of seasonal seafood within a vibrant setting at the massive, two-storied, 11,000 square-foot restaurant formerly occupied by The Palm in San Diego's historic Gaslamp Quarter. The restaurant received a complete overhaul and now features a refreshed design, a menu consisting of first-of-season fresh fish, shellfish, prime meats, a raw seafood bar, and multiple spaces for private events and gatherings. In addition to the culinary offerings, the restaurant’s opening accounts for the creation of 200 new jobs in the local economy. While Water Grill’s design team took great care in updating particular elements of the iconic building that dates back to 1950’s, they also made a conscious effort to preserve some of its original charm and history. The new restaurant will feature an antique nautical décor, with rustic wood walls and comfortable leather booths, as well as a unique installation comprised of oyster shells. The space will also feature two unique spaces designated for private dining and entertaining with full A/V capabilities, wireless access, and impressive wine displays. The private dining room on the lower level, to be known as “The Gallery,” will accommodate up to 20 guests, while the larger room upstairs, “The Barrel Room,” can hold up to 50 guests, with an impressive view of J Street. 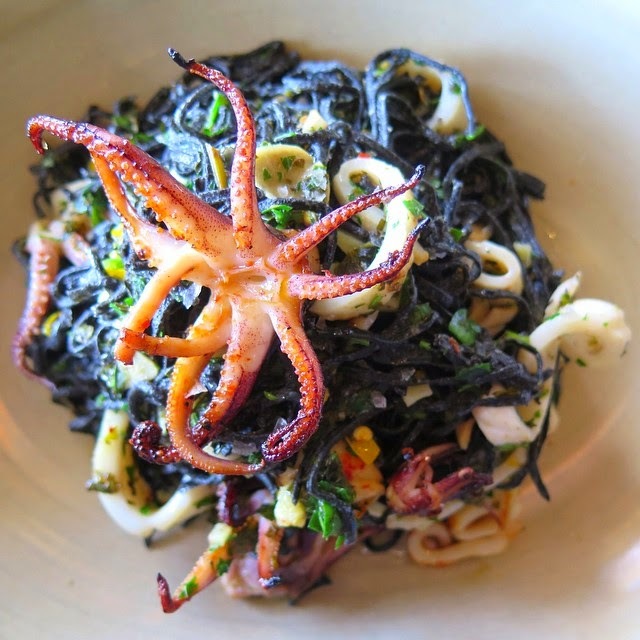 As part of King’s Seafood, a family-run seafood company, Water Grill stands apart for its impressive seafood offerings, with signature entrees that include Santa Barbara Spot Prawns, Wild Ross Sea Chilean Seabass, Wild Eastern Sea Scallops and Squid Ink Pasta, that hit a price range of $25 to $55. The restaurant will also offer a wide selection of local craft beers, wines and cocktails, with a bar downstairs as well as upstairs. Executive Chef Fabrice Poigin, a San Diego native, will guide the restaurant’s culinary vision as it continues to evolve. 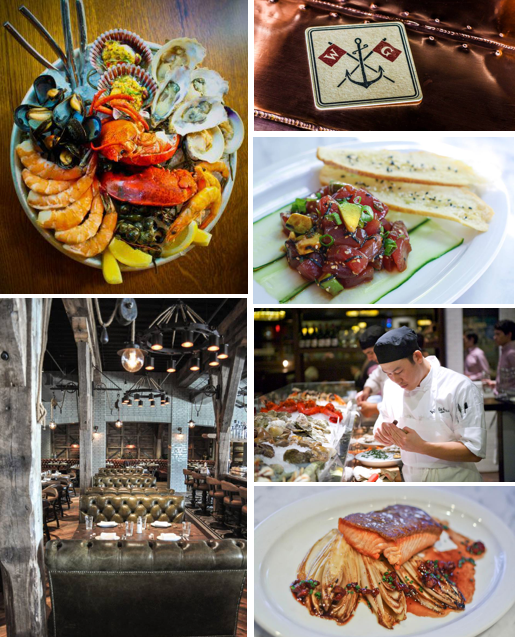 King’s Seafood Company founded by cousins Sam and Jeff King, the company operates six different restaurant concepts that include the King’s Fish House concept featuring 11 locations throughout Southern California, Nevada, and Arizona. King’s also operates King Signature Group, which features Water Grill in Downtown LA and Santa Monica, 555 East in Long Beach, Lou & Mickey’s in San Diego’s Gaslamp District, Pier Burger on the Santa Monica Pier, and Fish Camp in Huntington Beach. The San Diego Water Grill is an offshoot of the popular Los Angeles location of the same name that first opened in downtown Los Angeles in the historic Pacific Building in 1989. 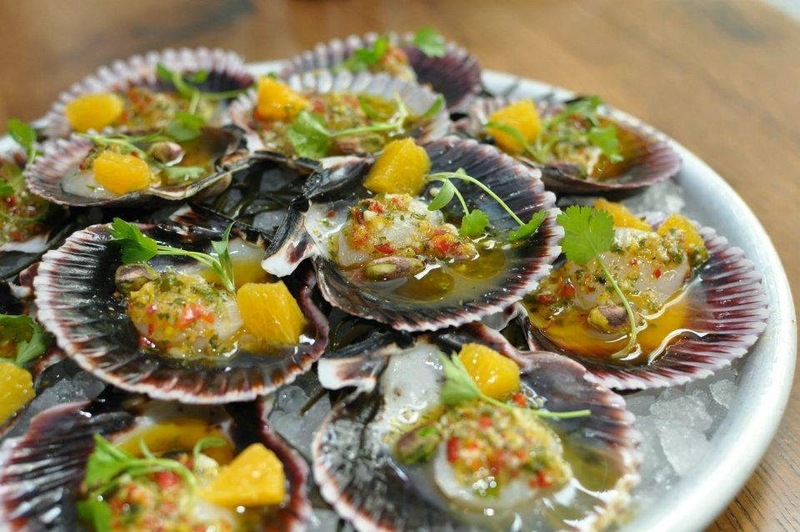 In August of 2013, Water Grill opened its second location, offering open views of the Pacific Ocean in Santa Monica. For additional updates and information on Water Grill, visit watergrill.com and follow on Facebook, Instagram and Twitter.